Leonard Stern, the [adjective] creator of Mad Libs, the wacky fill-in-the-word game we all [past-tense verb] as kids, died this week at the age of [number]. OK, I’ll give you that one: he was 88. Stern was a writer for shows like The Honeymooners, Get Smart and Steve Allen’s Tonight Show. Like all writers sometimes (…often…) do, Stern was sitting over his typewriter, stumped. “I need an adjective,” he told his friend, Roger Price. Before he could give some context by explaining the storyline thus far, Price gave him the words clumsy and naked. It turned out Stern was searching for a word to describe Ralph Kramden’s boss' nose. After laughing over it for a time, the pair spent the afternoon coming up with a rough draft of Mad Libs, which they debuted at a party later that evening. 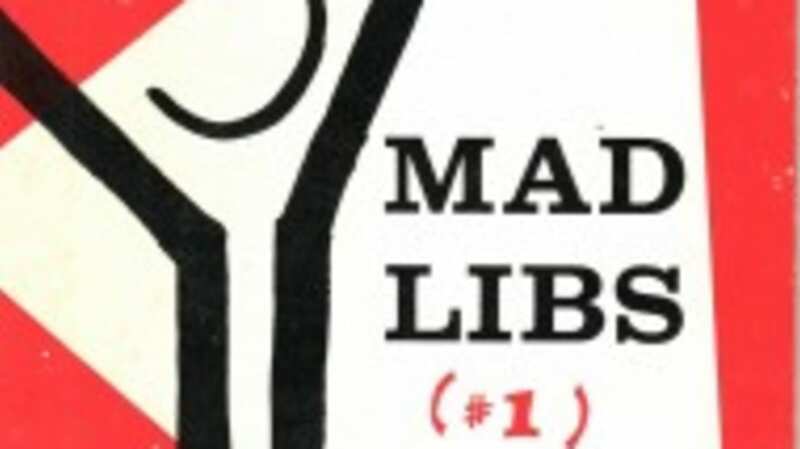 Despite its massive success amongst their friends, Mad Libs didn't debut until several years later for a couple of reasons. First of all, Price and Stern couldn't think of a catchy, clever name for their product. Secondly, publishers just didn't know what to do with it. Book publishers thought it was more game than book and game publishers found it to be more book than game. Eventually, the duo decided to publish it themselves. It was a pretty smart decision considering the series has sold more than 150 million copies since then, not to mention more than two million downloads on a Mad Libs app for iPhones and iPads. Versions include Mad Libs books based on Indiana Jones, Family Guy, Star Wars, iCarly and Napoleon Dynamite, among others.